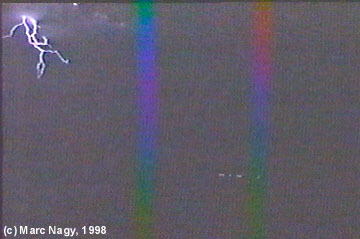 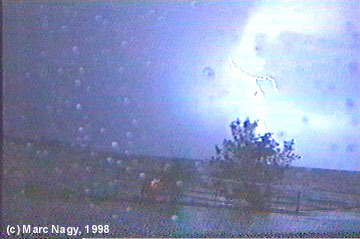 On the night of Aug.24, 1998, an strong cell erupted northwest of Niagara, over Lake Ontario. 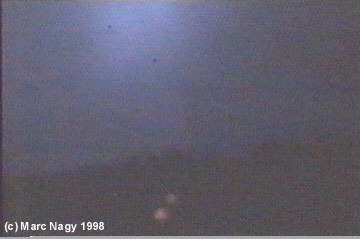 It quickly intensified as it approached land. 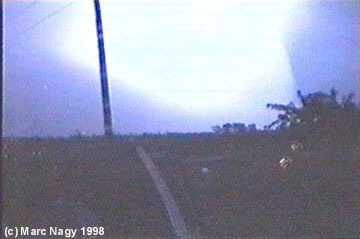 Frequent anvil crawlers could be seen as it moved towards us here in St. Catharines, and after then anvil had passed overhead, -very- frequent CG and CC lightning were visible. 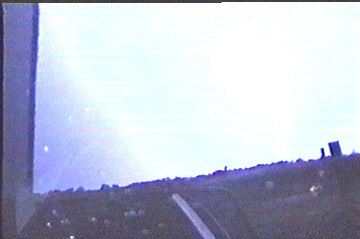 The following pictures are video captures of the tornado that was spawned on the trailing edge of the storm. 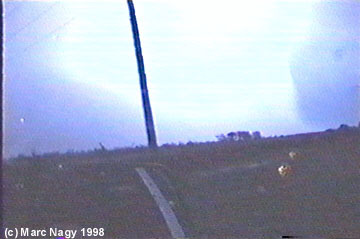 This tornado was not recorded by Environment Canada, although newspapers reported that it was witnessed by several people besides myself and my friend, as well as NRP (Niagara Regional Police) officers, and is currently being blamed for the destruction of 2 cars, damage to 1 house, and several commercial buildings on the Niagara Escarpment. 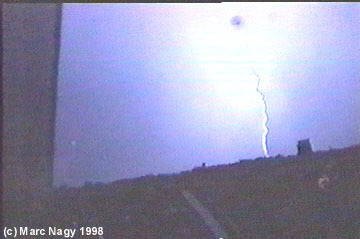 (These vid-caps were quite a pain to time properly as yah have to click on "Capture Still Image" right at the time the lightning illuminates the screen... but, after rewinding and capturing over and over until I timed it right, I think I managed to come out with some half-decent photos that were suprisingly in focus... - the camcorder has a nasty habit to go out of focus when there's not enough light). The tornado itself had no definate shape to it... it was more 'whispy' clumps of air appearing in areas then disappearing. 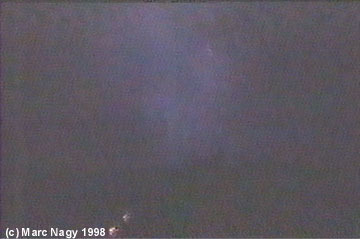 But was dark so maybe it wasn't even a tornado. 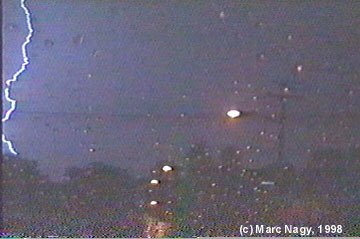 'Too much lightning/wind/hail/rain for us to stop and roll down the windows. 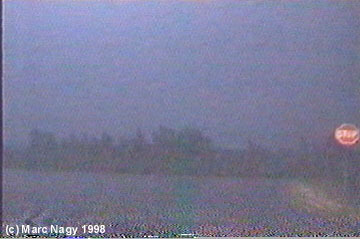 http://www.ontariostorms.com/specifi...dcap/pic01.jpg Frequent CG lightning was very close at times. 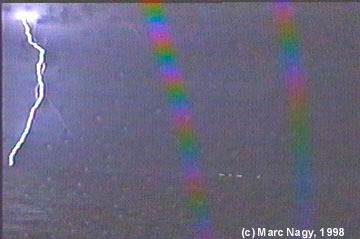 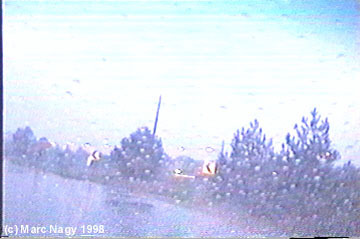 http://www.ontariostorms.com/specifi...dcap/pic05.jpg 2 lights bottom centre are side mirror reflection of truck lights. 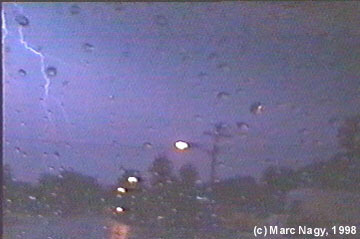 http://www.ontariostorms.com/specifi...dcap/pic09.jpg Minimal visibility in hail/lightning core. 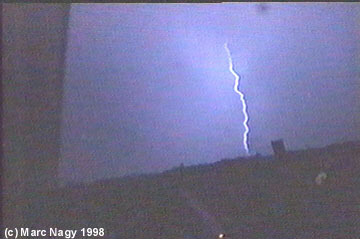 http://www.ontariostorms.com/specifi...dcap/pic10.jpg More CGs light up the sky. 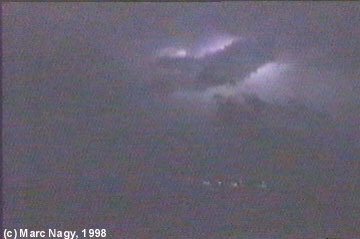 http://www.ontariostorms.com/specifi...dcap/pic11.jpg Lightning back-lights the threatening clouds over the lake. 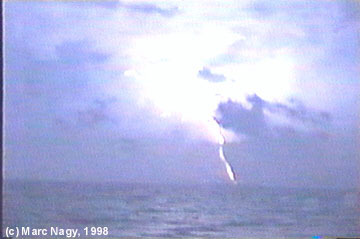 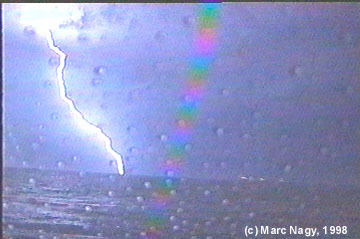 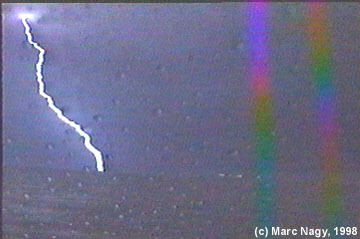 http://www.ontariostorms.com/specifi...dcap/pic18.jpg More CG lightning striking the water. 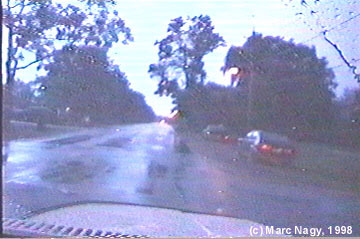 http://www.ontariostorms.com/specifi...dcap/pic21.jpg Our drive toward Niagara-on-the-Lake. 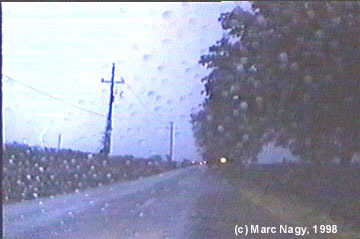 http://www.ontariostorms.com/specifi...dcap/pic22.jpg CG hits farmland in NOTL.